Click for information on Tucson and Arizona Info. 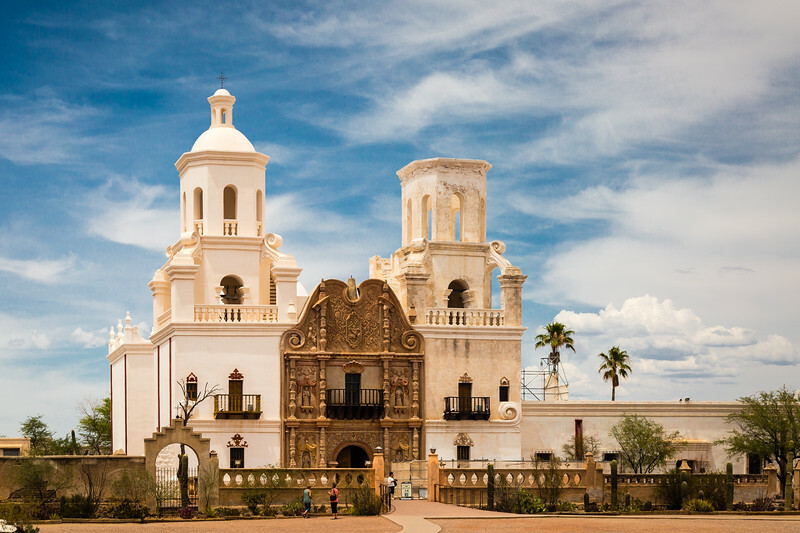 Tucson, AZ - Mission San Xavier Del Bac is the oldest intact European structure in Arizona, the church's interior is filled with marvelous original statuary and mural paintings. It is a place where visitors can truly step back in time and enter an authentic 18th Century space. The church retains its original purpose of ministering to the religious needs of its parishioners.